The Museums of Historic Hopkinsville-Christian County and the Hopkinsville Fire Department present Tuesdays at the Town Clock. 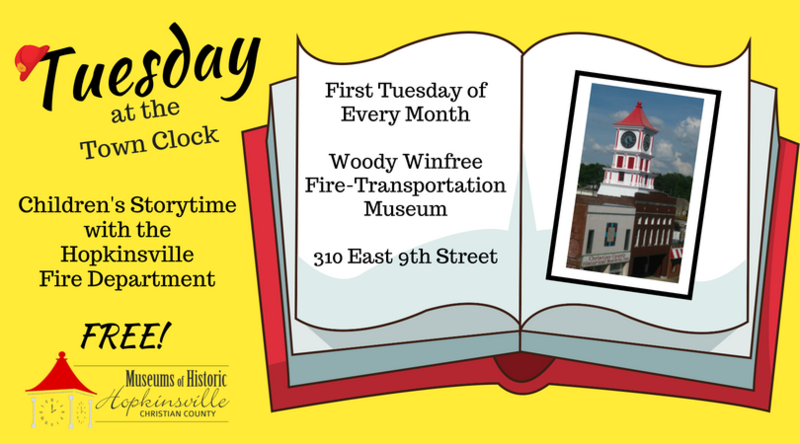 This monthly story hour at the Woody Winfree Fire-Transportation Museum will be the first Tuesday of each month. Local firefighters will read a story and introduce kids to some of the equipment in the museum. For more information, contact the Museum at 270-887-4270.